Here are my observations from the past 7 years in China’s tech ecosystem, and some thoughts on what we should expect in the near-term future. I will write this in 3 sequential parts. Modern Chinese urban society is to a large extent a “nouveau riche” society, but one that is in constant conflict with the traditional Chinese cultural soul. This creates daily paradoxes and near-comical situations. Grand-parents will not spend a single RMB on their own well-being but will pamper their kid, and especially their grand-kid, to oblivion. You can see a gold-plated (!) 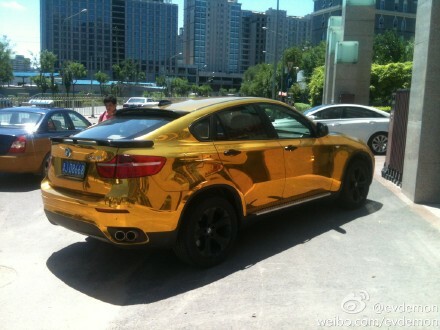 BMW X6 in the little “胡同” (alleys) in Beijing, a $150,000 car where it can barely squeeze through, then hear the driver coming down to argue, bargain, curse for more than 30’ with the parking assistant in the street, about whether or not he should pay the 10 or 15 RMB ($1-$2) parking fee. Of course, these are not just Chinese phenomena, pretty much every country in the world has gone through its “nouveau riche” phase at times of rapid economic growth, it’s just that in China everything happens at a China scale and at a China pace. And all this in a fiercely competitive environment, with laws that exist but that are selectively enforced on numerous occasions. The urban 90后 generation is an entirely different “animal”. They have never felt deprivation the way their parents have or scarcity the way their immediately previous generation (the “80后”) has. They were born in a China of relative abundance, a more open China, a China already connected to the world, a China online, where any NBA or Hollywood star is as approachable to a Chinese kid as it is to one from e.g. South Dakota. In fact, there are certainly a lot more NBA and Hollywood stars visiting Beijing and Shanghai than e.g. South Dakota. The degree to which this young generation of Chinese is “hungry” for foreign content, like for instance the American TV series, has the Chinese government so concerned that it recently had to put restrictions to several online video sites, on one hand because of the rampant piracy and the need to comply with WTO regulations but on the other, because of the fear of the degree of cultural influence this imported content has on the young generation. The 90后 will be the first generation that will have credit cards, that will overspend and that will have an insatiable appetite for goods and content consumption. Besides increasing affluence, a lot of these phenomena are also the direct result of the pampering that takes place in the average “one child” Chinese family. Fun times ahead. The market is still largely dominated by the “BAT” (Baidu, Alibaba, and Tencent), 3 companies that are worth collectively more than $400B in capitalization and that by now deserve to be included in the global tech elite. It is worth every Silicon Valley tech professional’s time to carefully study these 3 companies, their history, their products, and the breakdown of their revenue streams. If you have to pick only one, that would be Tencent, a formidable company. But the overall landscape of the Chinese internet is changing every month, with new companies and products entering the fight. China is the most fiercely competed internet market in the world. Equity research analysts are having nightmares covering this sector.